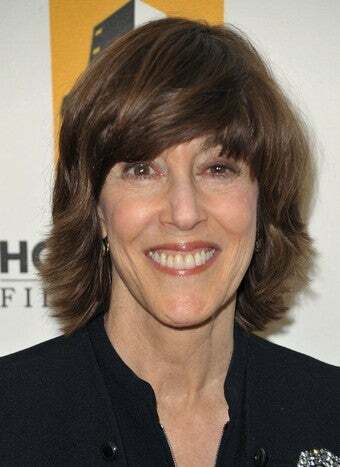 The Huffington Post has announced plans to add an entire section on divorce, with none other than Nora Ephron at the head. The premise behind it, as Nora puts it, is that marriage is for some time but divorce is forever. [Ephron] is sort of the creative spirit behind it, and is going to work on the different categories the different areas that the section will cover as well as the shape of the section. The section appears to be at least partly a publicity move for Ephron, whose upcoming book I Remember Nothing has a chapter on divorce. The HuffPo divorce channel launches a week before the book's release. It won't be totally out of place among the site's other sections — the crowded skybar includes topics as broad as "Politics" and as narrow as "Denver." And it might be kind of nice to see a whole section devoted to a specific type of relationship quandary, as opposed to the general web and print approach of lumping all people-problems under that the vague title "Living." While were at it, "Living" is often code for "girl stuff" — let's hope Ephron recruits some dudes to write for her divorce section too. What's Carl Bernstein up to these days?